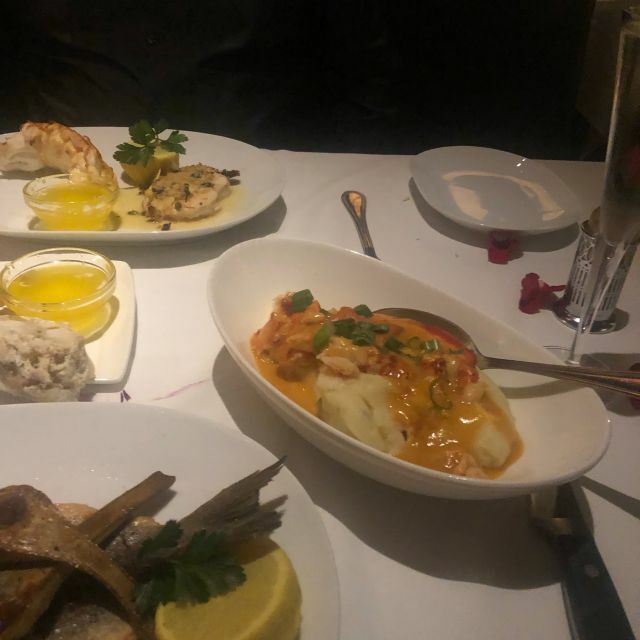 If you're looking for a stylish and sophisticated fine dining experience, visit your King of Prussia, Pennsylvania Eddie V's Prime Seafood restaurant. We feature an abundant selection of fine wines and curated cocktails to complement exquisite steaks and seafood made from the highest quality ingredients. At our restaurant we strive to create a memorable experience for each guest and deliver a world-class seafood dining experience to the area. Enjoy live jazz music from local artists in the V Lounge by the bar. We are conveniently located between I-276 and I-76 near the King of Prussia Mall. For an unforgettable meal visit us at 670 W Dekalb Pike tonight for dinner or happy hour. Call for reservations 6 or more. Great location, ambiance, service, and food! The only complaint is that the water glass had a mildew like odor to it. 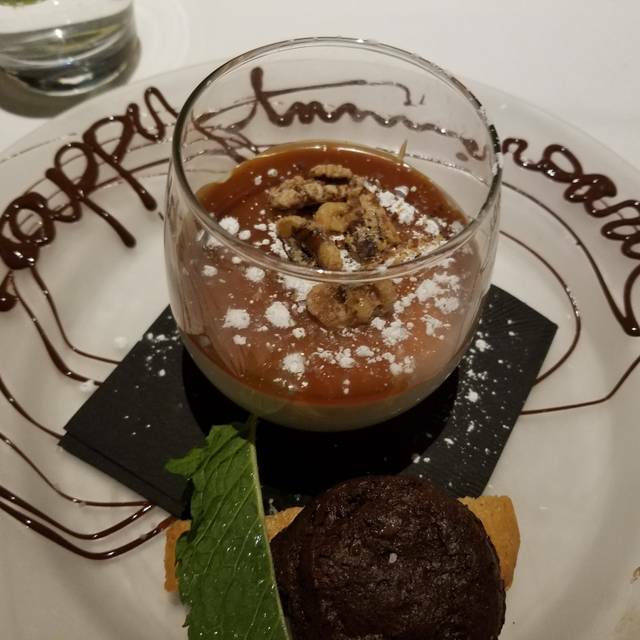 Celebrated my husband's birthday at Eddie V's. The staff made him feel valued and made me quite happy we chose to have his birthday dinner there. The food was amazing! 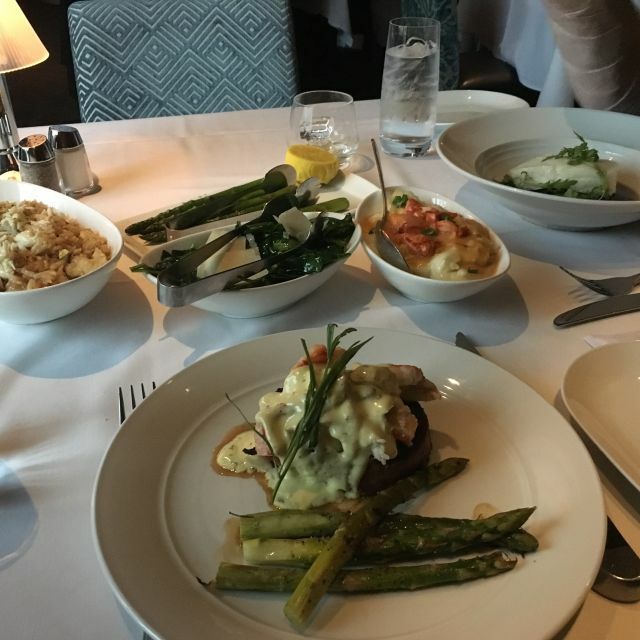 From the Chilean Sea Bass to the Filet Mignon, everything melted in our mouths! Eddie V's is a must visit. Are waiter Jeffery was excellent. Very attentive and his recommendations were great. Swordfish steak I ordered was extremely disappointing, smelly, had to kill the smell with as much lemon as I could get my hands on. Server did offer to replace my meal but I declined, we had waited a while for entree to arrive and I didn’t want to wait any longer. First round of drinks took around 20 minutes to arrive at our table, which is a ridiculous wait at such an expensive restaurant. Server was friendly and professional, did his best, but not a ‘white-glove’ restaurant in terms of service and meal quality as price would imply. Eddie Vs, what is there to say about Eddie Vs. I wasn't really impressed. It wasn't really a good dining experience. Food was good but there wasn't anything on the menu (at least for what I was willing to pay) that I would say to be unique, that I wanted to try. We had filet, ribeye, and scallops. All were good but nothing really to say: wow. We celebrated our 12th wedding anniversary there and it was spectacular. Food was delicious. Drinks were creative and tasty. Service was phenomenal (our server was Jeff, he was fantastic). Highly recommend!! It was a birthday celebration. Our server was excellent, the food was wonderful, and the atmosphere was elegant. From the pleasant greeters at the front desk, to the valet service, everything ran smoothly and with friendly efficiency. It was not our first visit to this restaurant and I'm sure that we will be returning often. Excellent food and service. Great spot to celebrate. All of the food was amazing...We went to celebrate our anniversary and they gave us a card and had rose petals on the table. Hector was very attentive and polite. The dishes were a little expensive but well worth it and it tasted even better the next day. I will most definitely be returning, everything was perfect. Birthday dinner. There was a large party that had the main dinning room so we were in a back room this time. Would have been nice to know. Excellent!!! ...but bring your wallet! It will be an expensive night. Crab cakes were mostly filler. Caesar salad was a wedge of dressed, tough lettuce (TOUGH lettuce? Never ran across that before!) On a bright note, the scallops were prepared exactly as I had requested and were delicious. Eddie V’s big sister, Capital Grille is far superior. attitude. Our main server was knowledgeable and helpful in assisting us with our menu choices, all of which were delectable. I have already made future reservations and plan to tell my friends! Thank you Eddie V's for bringing good food and service to the Main Line. Very disappointed with our meal. The bone in rib eye was very fatty, my crab cake was not very hot. truffle mac and cheese was just ok. For the cost, we did not feel like it was worth it. Service was great, but doubtful we will return based on the experience we had with the food. First time diners at this restaurant. Disappointed that there was only one low table in bar/lounge, so we ate in main dinning room which our table in center floor area was too close to another table (could hear their entire conversations whether we wanted to or not). Bread good, shrimp cocktail delicious, rib eye steak ok (not as good as Capital Grille), sole & heirloom tomato salad delicious, not crazy about sides offerings or dessert offerings. Tara did a great job serving us & educating us on food ordering options, we'll be back. Rose was very nice touch ! They say you get what you pay for and Eddie V's is worth the cost! Impeccable food, outstanding service and great atmosphere. Everything from the glass of wine at the bar to the coffee at the end of meal was great. Our waitress, Jo, was the best. The food was delicious. We will be back again! First time dining at Eddie V’s. From the moment you arrive, you just know the management of this restaurant has trained their staff to treat their patrons like gold. The valet guys, not only take your car but walk you to the door, open it and wish you a great dining experience! The restaurant is gorgeous. I mean one of the most beautiful restaurants in the Philly area that I have dined at. We had a drink at the bar while waiting for our friends. Once they arrived we were seated in the dining room. The one with the crystal chandelier that you would see in a mansion on the main line. Our wonderful waitress, Alaina V, arrived and what a coincidence she knew our friends from the previous place she worked as a bartender. They reminisced and then we ordered our meal. We shared the gulf shrimp which were the colossal size and delicious. 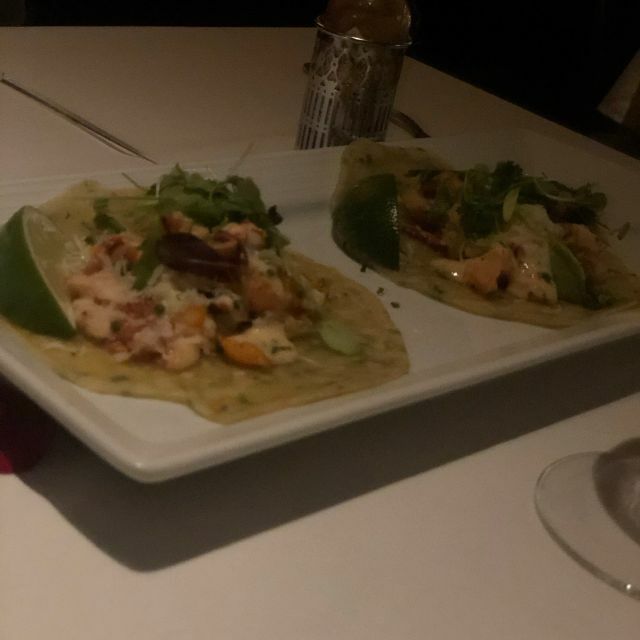 We also had the Maine lobster tacos, fabulous if you don’t mind using your hands. 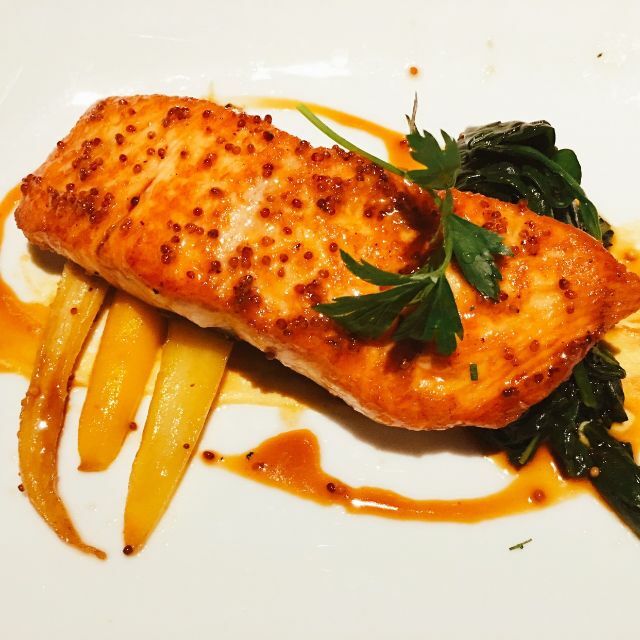 For our entree’s we ordered Norwegian salmon and Parmesan sole. Each were fabulous. They were accompanied with sides but we still ordered the Brussels Sprouts and lobster mashed potatoes. For dessert we ordered the hot chocolate Godiva cake and the bananas foster. What you do not see in these photos is how we cleaned our plates. Finally before we left Alaina who was an absolute doll, gave us her card. Really, when is the last time your waitress gave you her business card??? Very nice atmosphere, very attentive, will probably visit again. It's not a good sign when the bread and the brussel sprouts are the best part of the meal. The lobster tacos were wet. The scallops were much too salty. The shrimp was over seasoned. The prices are above average. The food wasn't. Our server and manager were super attentive. My wife has an unusual allergy and they were perfect on everything she ate. We have had many difficulties in the past with this problem. It was NO problem here. I shall recommend Eddie V's to all my friends. It is one of my new favorite restaurants. We were seated back in a closed off room with terrible atmosphere. There were only a few tables and quiet. We were very disappointed not being in the main dining room. The only problem I see is that the bar area is understaffed. They really need one or two more bartenders. The wait for cocktails was very long. Even once we were seated for dinner, we waited a while for our drinks to arrive. Eddie Vs is one of our favorite places to eat! The food is phenomenal! 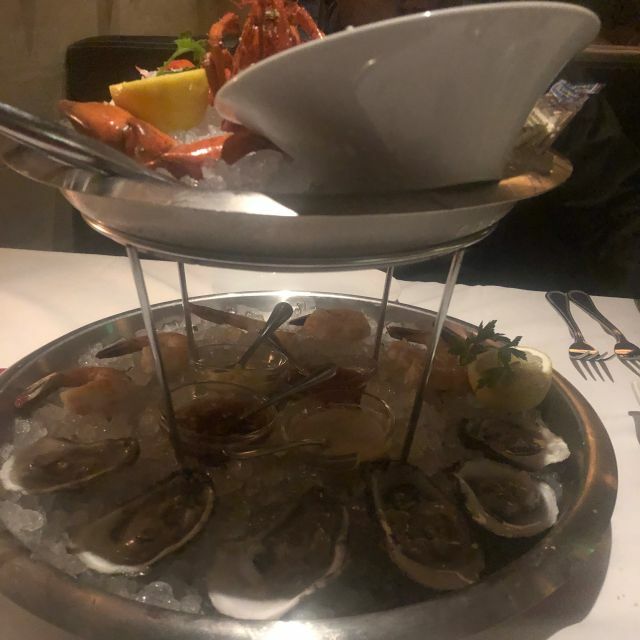 We always get the seafood tower as an app. Love it! We went for our anniversary dinner and the first thing we noticed when we sat down was the preparation. There were rose petals and a card congratulating us on our anniversary. The service was impeccable. Our server, Jo, was very attentive without being overbearing and very knowledgeable about the menu. The drinks were great and the food was fresh and delicious. The one down side was the price, but it was about what we expected and for a special occasion, it was well worth it! Everything was excellent, from the ambience, service, and the food. Our waitress was so pleasant and welcoming. Definitely will be returning soon. If I could give 6 stars for service, I would. Very few Resturants get Steak Pittsburg rare correct, Eddies get it perfect, we are now a returning customer ! Our server Jonathan was wonderful! The food was fantastic from appetizers to dessert. Absolutely no complaints. Drinks took forever —— steak was over cooked which I suppose is why they specialize in seafood. 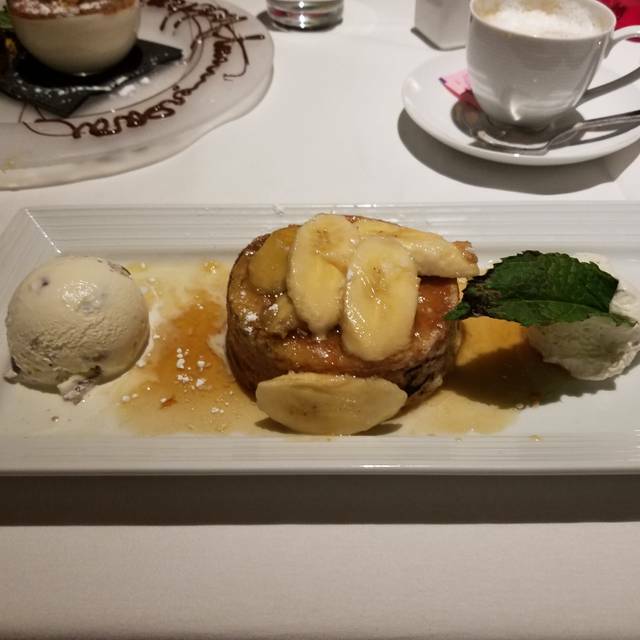 Bananas foster is my favorite dessert anywhere and it literally taste like burnt cake here skip on that! Besides that the server was very nice and friendly which was enjoyable. 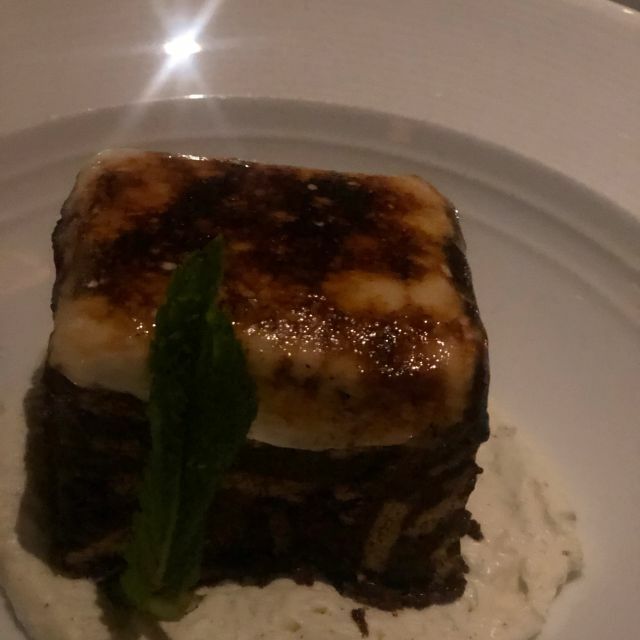 We have been to several of the fine dining restaurants around King of Prussia and Eddie V's is by far the best overall. From seating to service and quality of food. They can't be beaten. 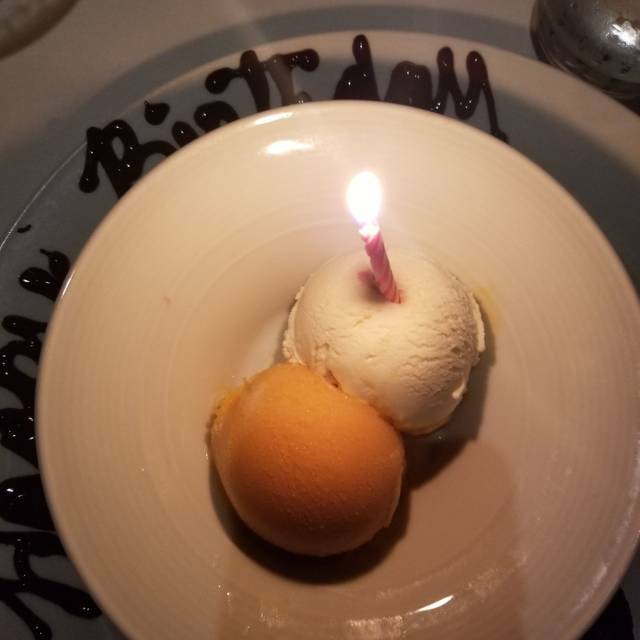 Had my birthday dinner than and took my mom back for her birthday the salmon is so yummy and the desert they lite on fire is amazing!!!! Food was excellent ! Ambiance is perfect and our waiter was very nice and knowledgeable about the menu . Our server Joseph made it perfect!